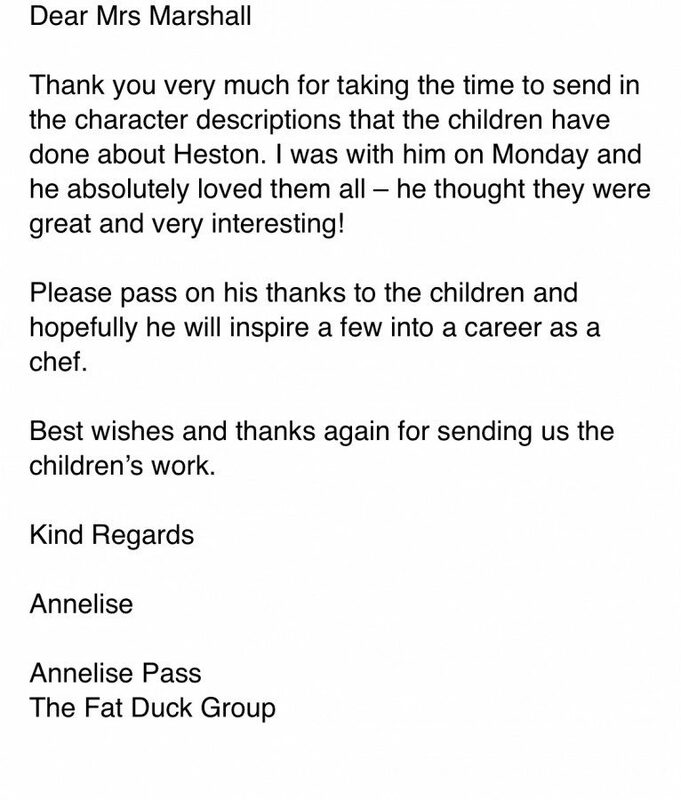 When 2M wrote to Heston Blumenthal!!! HomeWhen 2M wrote to Heston Blumenthal!!! In STEM week Year 2 looked at the work of the world famous chef Heston Blumenthal. We write character descriptions about him and found out so many interesting things about him. 2M sent some some of their work to his restaurant and guess what???? He read them, this is the email we got from his publicist!! !